Its just a Card . Carry it in your wallet. Do Direct Fundoscopy or Attach it with cell phone camera and capture images or make videos ! 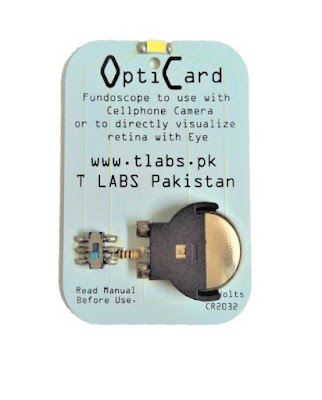 Invented and Designed in Pakistan . Empowering Resource Limited Setups with Affordable and Smart Solutions !